Rhonda was thorough. She answered my questions and concerns. She made sure I had her contact number and knew that I could call anytime. Excellent customer service. Thank you. Thank you for the great service. The technician is always very courteous and your customer service is a 10 out of 10. The gentleman was very polite and professional. They did an excellent job of getting rid of termites and ants at my house. If I ever have a problem again, I will probably give them a call! Excellent and a thorough job great time taken to detail. The young technician that came this time was very thorough and took his time. Fast, professional and reasonable and best of all problem solved. I'd definitely recommend and will call them for any future problems. The technician is thorough; overall, a good egg. Rhonda does a great job. Always asking what we need and if we had any problem with any pest. Rhonda does an outstanding job. I have no feedback from the Post Office about your service so I assume they are happy. If they were still seeing roaches, I think I would have heard. Rhonda was efficient and very knowledgeable. Prompt friendly service! Highly recommended. Super nice people. More than great results! We didn't know that the carpenter ant problems we had were so bad inside and outside of the house! 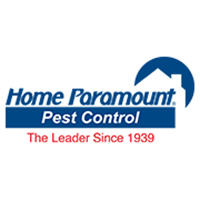 I've used Home Paramount for many year and have been very pleased with the service. Didn't make a list of were they put black boxes. nice technicians and good service. Paramount seems to always do their job, on schedule, and we seem to have no more problems. I am very pleased. We've been a customer for many years and are very happy with your service! Great customer service and friendly, helpful and knowledgeable technicians. Chris is very friendly,and does a great job! SO FAR SO GOOD, I AM HOPING AS TIME PASSES THIS SERVICE FROM HOME PARAMOUNT WILL HAVE PAID OFF!! Rhonda does an excellent job she keeps up with everything calling to let me know when she is coming is great. Always on time and very pleasant. We appreciate the technician who took his time working with us on our any issue. Good service and have noticed less pests! Please send me a bill in the mail. I don’t think I’ve paid you for the last time. Waiting for a bill. Yes I am satisfied for your service. Thank you. The person we get out here is Rhonda and she is awesome. Very attentive to problems and careful to inspect for problems we don't know about. My technician Rhonda is awesome and extremely thorough! Overall good service. The only complaint I would have is they don’t have later hours so the inside of my house only gets done every once in a while. Even so, it seems to be good enough to keep critters out. Rhonda is an excellent technician and always listens to our concerns and responds to our needs. Very helpful. Provide excellent service.